Posted August 28, 2012 by Joel Goldman & filed under How to get book reviews. Amazon, with its 55% share of the ebook marketplace, is the lifeblood for every indie author. To paraphrase the Frank Sinatra hit, New York, New York, if you can sell them there, you can sell them anywhere. And, if you can’t sell them there, don’t give up your day job. An author can punch all the marketing buttons but the secret to success on Amazon is getting your book ranked high enough that Amazon recommends it to readers. That’s when sales can really jump. If you think a book’s rank is based only on the number of copies sold, think again, as this blog post from Pat Bertram explains. Amazon uses popularity and bestseller lists which are based on different criteria including number of books sold, how long a book has been selling well and the price at which the book is sold. 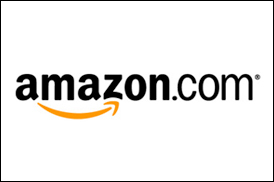 So what can authors do to maximize sales on Amazon? Advertise on Google Adwords? Works for me but not for others. Social Media? Everyone is doing it and we’re all crossing our fingers it works. Sign up for Amazon’s Kindle Select program so you can give your books away to boost sales? Worked great from December 2011 through April 2012. But as the blog post referenced above explains, Amazon recently changed its algorithms to drastically limit the benefits of the giveaways. That leaves reviews posted on Amazon, which are a significant factor in the rankings. Rack up a boatload of five-star reviews and Amazon may make you a bestselling author. The challenge for authors is how to generate those reviews. A lot of authors, including me, will post on Twitter and Facebook an offer of a free copy of a book in return for a promise to read the book and post a review on Amazon. There are no strings attached and no requirement that a review be favorable. Just read the book and post the review. Pretty simple. Pretty clean. Transparent and ethical but not always effective. The demand for reviews have spawned a variety of websites offering to generate reviews. BookRooster.com connects authors with readers who are willing to review books. The author pays Book Rooster for this service but, and this is critical, the only thing the reader receives is a free copy of the book. That’s it. And, the reviewer discloses in the review that he or she received the book for free for purposes of giving a review. Pretty simple. Pretty clean. Transparent and ethical and, based on my experience and others, it works well for some authors but not others. So it should come as no surprise that there are plenty of websites that will sell reviews for books and anything else. That’s right. Decide how many five star reviews you want, write a check and sit back and let the good times roll. An article in the New York Times exposes the seedy underbelly of a review system that has been corrupted by paid reviews. This article describes how one reviewer made $28,000 a month selling his reviews and how his efforts alone may have turned one book into a bestseller. Pretty simple. Pretty disgusting. The reviews on Amazon are intended to serve two purposes. First, to give readers a basis for making their decision whether to buy a book that is supposed to be free of undue influence. Love it or hate it, one-star or five-stars – the review must reflect the reader’s honest opinion or it’s useless. The second purpose of the review is to help determine a book’s ranking. Corrupt the reviews by artificially inflating the number and favorability of the reviews and the entire ranking system becomes suspect. Ethical authors who play by the rules take a beating at the hands of cheaters. It’s no different than athletes who build their careers on steroids. What to do about it? Shine a light on the practice like the New York Times did. Bang on Amazon’s door and tell them to clean up a system that threatens to undermine their business model. And whether you love or hate a book, post a review and include a disclaimer that you haven’t been paid for doing so. And if you’re an author, it’s pretty simple. Don’t cheat. good blog post, and it explains a lot. I only give honest reviews myself, because I want to see honest reviews when I am deciding to read a book. I think reviewers will naturally disagree, so that is to be expected. But when I see a lot of glowing reviews and then I buy and read the book, and its quality is dramatically different from the reviews, I'm always suspicious. Likewise, I often see 1 star reviews from people who admit they didn't read or finish the book but lambast the author in ways that makes me think they are other authors trying to vote a book down. Thanks, John. Readers need and deserve legitimate reviews. Books that only get 5 star reviews make me long for the bell curve. yes, I agree. I figure even the best books will have people that give it a 4 star rating. For ALL of them to be five star either means its beyond great or someone is stacking the deck. Selling Your Soul a guide yo getting book reviews was added to my favorites. I can not wait to read more about this subject. Excellent post. It’s questionable whether reviews have the legitimacy and use they once had. It may be as apps, that you look for the average rating stars. Still means the system can be gamed, as all arbitrary (un-natural) systems can be gamed. Locke gamed the system by buying his 300 reviews. Amazon has been reactionary in their review deletions, and algorithm changes which favor mid-priced books now. Looks like the KDP Select program is mostly for branding now, since Amazon only has a 51% (+/-) share in the U.S. market, less overseas. Any author’s marketing strategy has to be based on writing a high-quality book to begin with.